Iceland is not what I expected. There are countless beautiful wonders to behold, with breath-taking scenery at every turn, abundant wildlife and a deep, rich culture full of history and magic. It's less icy than I thought it would be. My knowledge of the country was incredibly limited prior to my visit and much of what I knew was not positive. I was aware that whaling still occurs in Iceland and I knew that the captivity industry had plundered Icelandic waters, capturing orca in the 1970s and 1980s. That was about the extent of it. There are currently (at time of writing) only eight of the 55 known Icelandic orca captured that are still alive today. The 47 unique individuals who have since died each shared similar stories; they were captured as young calves, sent to different display facilities around the world, with many dying soon after, and did not - with the exception of one orca - swim in open ocean again. 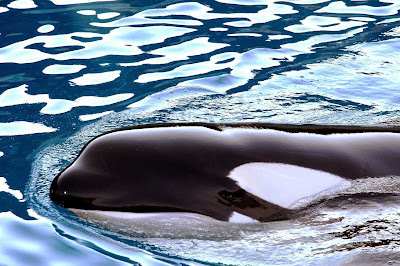 (You can find out more about the Icelandic Orca in Captivity). Four of these orca, (Keiko, Tilikum, Freya and Winnie), and their journey has particularly resounded with me, leading to the Icelandic orca being a special population for me. It was Keiko who first sparked my own journey that sees me here today, writing about Icelandic orca for a campaign that I founded, which is all about orca. Winnie, Freya and Tilikum too have all made a profound personal imprint that has shaped my life, work and passions. I arrived in Iceland on Sunday 16th February. During the coach journey from Keflavík International Airport to the capital city of Reykjavík, I was sat beside my friend and fellow orcaholic Rob Lott (orca programme lead & policy manager with WDC). A short distance from the airport, Rob pointed to a small, nondescript shed through the window. He told me that during the capture years, the shed had been used to hold newly caught orca calves, before they were transported out of the country to marine entertainment parks in other parts of the world. It hasn't been used for that purpose for at least 24 years when the live captures ended in 1989 (the year I was born), but I still felt a shiver run up my spine. It is a tiny warehouse with only a few small windows. And it is tauntingly close to the sea. Knowing that young orca had been kept inside the shed left me feeling uneasy. I didn't want to imagine how confused, frightened and stressed they must have been. 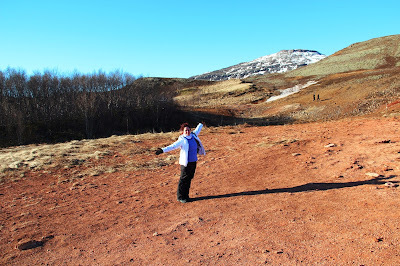 As we approached the city, I learned about the whaling that still takes place in Iceland. There are only two or three small whaling companies, with only a handful of people involved (one of whom is a considerably powerful figure). The whale meat is sold as pet food, for human consumption in some restaurants and dead whale is used by one Icelandic brewery in its beer. Only around 5% of Icelandic natives eat whale. The majority of whale meat sales in restaurants are to tourists, many of whom are under the impression that eating whale is part of the Icelandic tradition. This is a fallacy as whaling has only been occurring in Iceland since the 1950's. The IFAW 'Meet Us Don't Eat Us' campaign is working to raise awareness about this issue. 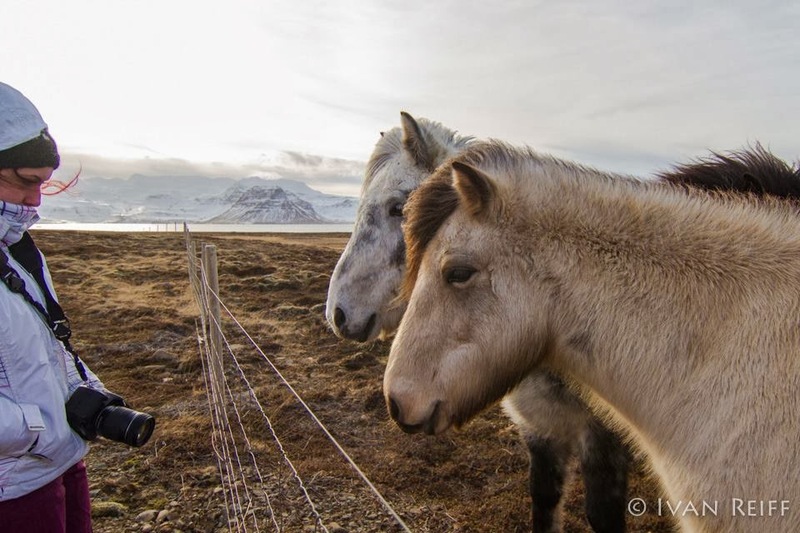 (If you are planning on visiting Iceland, you can look for the 'whale friendly' sticker on restaurant and hotel fronts before choosing to take your custom there). 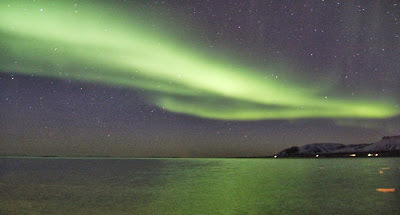 I enjoyed my first night in Iceland, where I saw my first glimpse of the aurora. Still, I couldn't get to sleep fast enough as we were travelling around the Golden Circle (to see magnificent waterfalls, geysers and frozen rivers) and on to Grundarfjörður the following day, in the hope of encountering wild Icelandic orca. 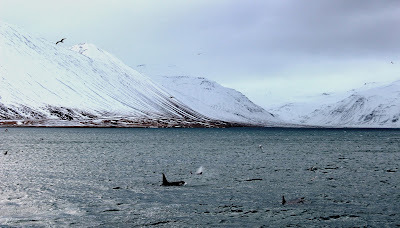 My time in Grundarfjörður, which is located on the Snæfellsnes Peninsula in the west of Iceland, was full of orca. Where my knowledge of Iceland had been somewhat lacking in those first few days, I had known a little more about the Icelandic orca population through my research for Orca of the World. The Icelandic orca are of the Type 1 Eastern North Atlantic ecotype and they feed primarily on herring. The Icelandic catalogue currently contains 226 individuals, and five of these have been sighted in waters around the Shetland Islands, off mainland Britain. 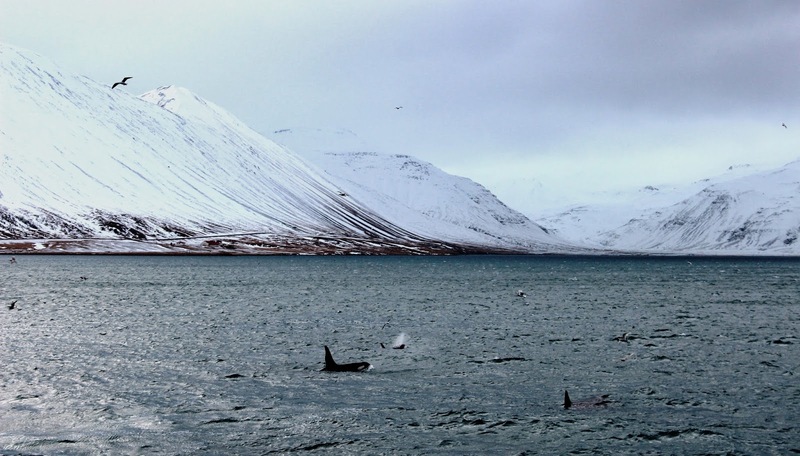 Orca research in Iceland began in the 1980's but studies off the coast of Grundarfjörður are more recent. There is still a lot that is not known about these orca. During my stay, I attended fascinating lectures presented by orca experts Erich Hoyt (Far East Russia Orca Project) and Filipa Samarra (NAKID & Icelandic Orca Research), as well as talks given by several other individuals working in the field of cetacean conservation and education. My first sighting of the orca was from land, standing at the back of the hotel. They were way, way out across the fjord and I could only just make out the tall dorsal fin of a male. The boat trip I was about to head out on with Láki Tours (the only whale-watching company in Grundarfjörður) had been brought forward due to the sighting, so there was a mad dash to get back to the hotel to collect cameras and wet-weather gear. It was a glorious day with clear skies and calm seas. We were fortunate enough to spend several hours out on the water with the orca, white-beaked dolphins and numerous sea birds. The boat took us into the bay of Grundarfjörður and round to Kolgrafafjörður, the adjacent fjord, where there is a bridge the orca have only this year starting swimming under. Seeing the orca from the bridge is an entirely different experience to watching them from the boat. It must be one of the best land-based whale-watching spots in the world. We were incredibly lucky with our encounter. Firstly, our bus to the bridge pulled up just in the nick of time as the orca were swimming underneath. Secondly, the orca passed backwards and forwards under the bridge several times, which is not typical behaviour. Standing on the bridge, around 20 feet above the waters surface gave me the unique perspective of watching the entire orca form as each individual swam, surfaced and dived right below me. It is a fantastic way to be close to the orca without invading their environment or interfering with them in any other way. The Kolgrafafjörður bridge was a great place to digest the surrounding view and to really appreciate the orca in the context of their natural environment. I couldn't help but compare the wide, open space to the small, plain tanks that the captive Icelandic orca are living in. I tried to imagine what it must have felt like for Keiko to experience open waters again after many years in a concrete swimming pool; going from such a tiny, cramped box to such a huge, deep expanse. My thoughts were similarly mixed as I watched a young calf surfing alongside his family. I felt privileged that I could watch the pod and I couldn't believe anyone would want to break up such serene, purposeful existences. The Icelandic weather is, as I discovered, like the nature of orca: wild and unpredictable. Rough seas meant that we could not always get into Kolgrafafjörður by boat, or even out on the boat at all. There are also fewer orca inhabiting the waters around Grundarfjörður this year in comparison to other years. This made the encounters I did have with them all the more sweet. Yet, I can't help but wonder where the orca go and if they are leaving to follow the herring. While the orca were at times elusive, the white-beaked dolphins were around most days. 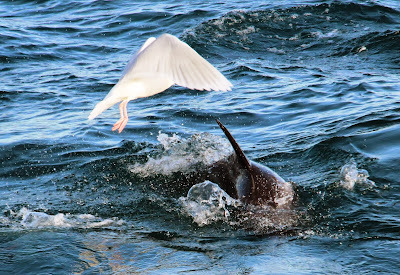 On one orca-less day, I was lucky enough to encounter the dolphins feeding from a large bait-ball (a swarm of small fish), sharing their catch with the sea birds. During the feeding frenzy, a small calf decided to explore the waters around the boat and spend a little time people-watching. Compared to orca, the largest of all dolphins, these white-beaks were much faster and more agile. They would often approach the boat, swimming around it, bow-riding, and leaping clear of the water. They were a very different and enjoyable species to watch. As my time in Iceland drew to a close, I started to reflect on my experiences watching the Icelandic orca. They are the third population and ecotype I have encountered and, while in many ways they remind me of their distant fish-eating cousins, the Southern residents, the longer I watched them, the more I also began to notice some possible similarities to the New Zealand population. The Icelandic orca appeared to be quite curious about the whale-watching boats, changing their course and surfacing unexpectedly by them, as well as seemingly taking quick glances at the people on board. They also seemed to be aware of activity on the bridge and occasionally showed an apparent interest in the people watching them, turning onto their side and spy-hopping to get a better look. Perhaps with there being just two whale-watching boats that take trips out into the fjords, and with this being the first year they have started passing under the bridge, these are novel additions to their environment. Perhaps they recognise the boats. Or maybe they find us as interesting as we find them. There is still so much that we do not know about these and other orca living in our oceans. I very much look forward to the future knowledge that we will gain through responsible and respectful research. And I look forward to the next population that I will encounter... whoever they may be! A big thank you to Rob Lott (Rob's WDC blog), Cathy Harlow (author of the Iceland Landmark Visitors Guide), Alexa Kershaw (Alexa Kershaw Wildlife Photography) and the team at Láki Tours for their vast knowledge, energy, passion and determination to find the orca! For more information, visit Orca Aware: Icelandic Orca.